This opinion reflects the opinion of the author only. 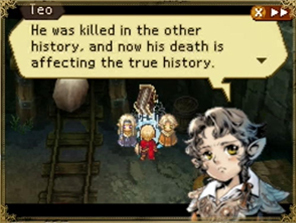 Also, SPOILERS FOR RADIANT HISTORIA WILL BE TALKED ABOUT! You have have been warned. I know this may be difficult for some to comprehend, but not every game needs a sequel. I would be perfectly fine with Radiant Historia being a one-off. But is it possible to make a good, respectable sequel to the game? As interesting as the prospect of a Radiant Historia II would be, let’s stop and ask a very important question: what would making a second game accomplish? Were there plot holes that needed to be filled? Was it like The Godfather where a financial windfall called for a series to be created? The answer to that last question is an unfortunate “No.” There was no financial windfall. The game was probably closer to fiscally even versus raking in the big bucks. This is the unfortunate nature of niche gaming; it’s artistically awesome, but financially lacking. Which leaves us with two questions: what it would accomplish, and what do we have left from the first game’s plot. The latter first. To reset the plot of this 50 hour campaign, you play as Stocke, a spy working for the nation of Alistel. During an early mission, he was given the White Chronicle by his boss Heiss and the ability to time travel to certain points in his life by twins Teo and Lippti. Using this, Stocke is able to go back and forth along two timelines to forward the plot of the game and avoid any pitfalls he may have come across. During the game, he finds out that the desertification of the world could be slowed by a royal ritual, Princess Eruca of Granorg had a brother who was supposed to be a sacrifice for the ritual, Stocke is actually Eruca’s brother Ernst, and Heiss is not only the holder of the Black Chronicle but also Eruca and Ernst’s uncle who was supposed to be sacrificed in a previous ritual. And if you did enough of the side quests in the game, Heiss will take Stocke’s place as the sacrifice after watching how everyone’s lives were changed for the better by Stocke, allowing him to come back to the real world. As for the characters that pretty much stood in their way? They’re pretty much dead. General Hugo was set on fire trying to manipulate time. Both Selvan and Dias, leaders of Granorg, were turned into sand after Heiss drained their mana from them. And Queen Protea was… actually, that wasn’t quite clear, but she didn’t really have any ambition for power, so she wasn’t really much of an obstacle. So, if they were to make a sequel based in the same time frame with the same characters in the same land, it would be rather limited. 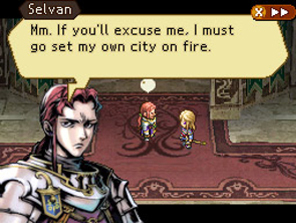 But that’s kind of why we liked Radiant Historia in the first place. It was a complete story with all plot holes filled and answered by the time the credits started to roll. Not everyone has the writing chops to pull that off. But with that in mind, is there a way to pull off a sequel to Radiant Historia? Again, I go back to my Godfather analogy. The first movie was such a success that the studio practically demanded a sequel. Reluctantly, Mario Puzo and Francis Ford Coppola went to work creating the second novel and movie respectively. And from that development came a story that was both a sequel and a prequel, telling the story of Michael Corleone’s fight to keep his power while his family crumbles around him as well as the early life of Vito Andolini, renamed Vito Corleone, as he grew in power during the Great Depression and cared for his family and friends in the process. And there is the answer to our question. If Atlus plays its cards right, it could create one or two games in which it tells both a prequel and sequel to the game. The sequel is pretty easy. Perhaps you lay the ground work of the story with Stocke and Eruca working together to find a solution to the desertification without any more sacrifices. Whether they fix the problem themselves is up to Atlus, but I think it should be something where a future holder of the White Chronicle sees visions of an older time when the two worked together. What about the prequel? Well, there is a potential story of an old empire that ruled the land before the desertification. 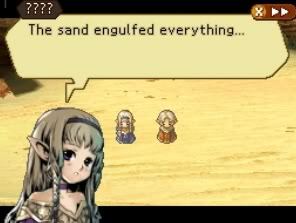 The story was teased early on in the game when Stocke’s friend Sonya talked about it. You could learn firsthand about how the empire crumbled and began the events that lead to the first game. But would there be motivation for a gamer to play a game that they already know how it will end? The game will show the end of the empire and the first sacrifice to slow the desertification. That much is certain and the game hasn’t even started the planning stages yet. However, you do have to look at things like movies based on books. People who read the book go into the movie knowing full well how it will end as well as what will happen along the way. Granted, some will skip the movie because they will believe that the movie will be inferior to the book. But many more will see it because they want to see how the story is told through the medium. I think this will be the same with a Radiant Historia prequel. 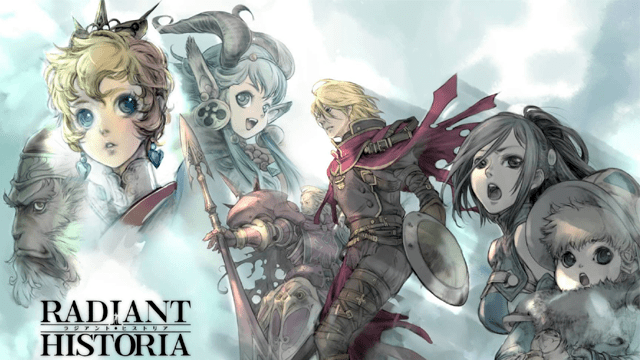 So, is it possible for a Radiant Historia sequel? Yes, but there are few potential options in the same universe. They could go the Final Fantasy route and do a completely different story in a completely different world, but I’d prefer we finish this universe’s story first. What do you guys think? Is there another possible option for a sequel that you think would be awesome? Let us know in the comments below.